The Maldives was the first beach holiday where I have actually enjoyed being at one with sand. When looking for our honeymoon we also looked at other ‘paradise’ destinations and the one other place that really lit my eyes up was Bora Bora. 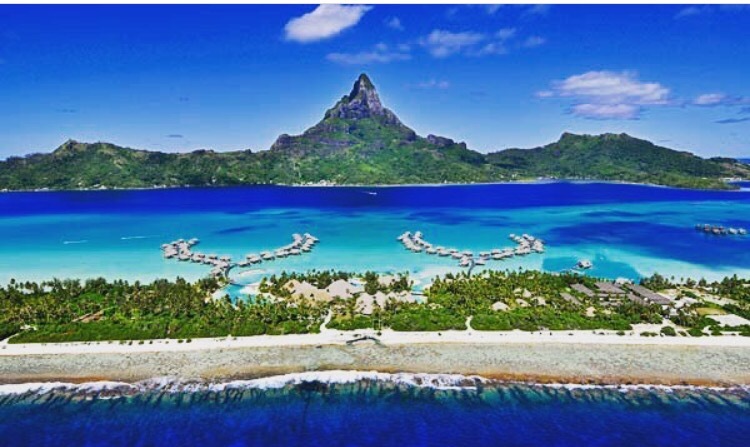 I remember the first time I actually saw Bora Bora was in the movie Couples Retreat starring Vince Vaughn. Back then I remember thinking ‘that would be a lovely place for a holiday if you liked beaches!’, there was something about the clear blue waters and stunning nature that drew you in. But I soon forgot about it. When honeymoon decisions came I remembered those blue waters and decided that was where I wanted to go. Unfortunately, as we only had 10 days for our honeymoon and it would take too long to get there, and it was a bit too pricey, we had to rule it out of the running. Bora Bora is definitely one of my top dream destinations now, and that is because it is a dream. 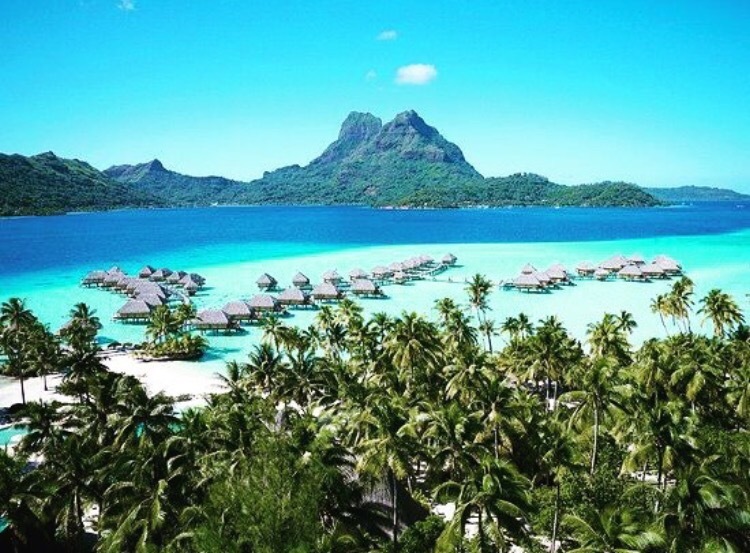 Anytime someone mentions an idea of a perfect, relaxing holiday I scream the words BORA BORA! Bora Bora to me is the ultimate 5 star holiday. The beach villas, water villas, the fact it is in the middle of nowhere, makes it so appealing. You can swim with sharks, rays, turtles. You can relax by the beach. You can have as many cocktails as you want while being waited on hand and foot. Yes please! I (ashamedly) have been watching the latest series of Dating Naked and the reason I decided to watch it wasn’t because of the people going on dates, naked, but rather the fact that it is filmed in – you guessed it – Bora Bora! Every week I watch it and admire the background. And also feel very jealous that the daters are there and I am not! If I haven’t said it before, I’ll say it now. I am in love with Bora Bora and I have to get there one day! I’m thinking for a vow renewal or 10th wedding anniversary – let’s see which I can get my husband to agree to!!! Next Post Entrecôte, I Like It A Lot!